There is something romantic about mousse. 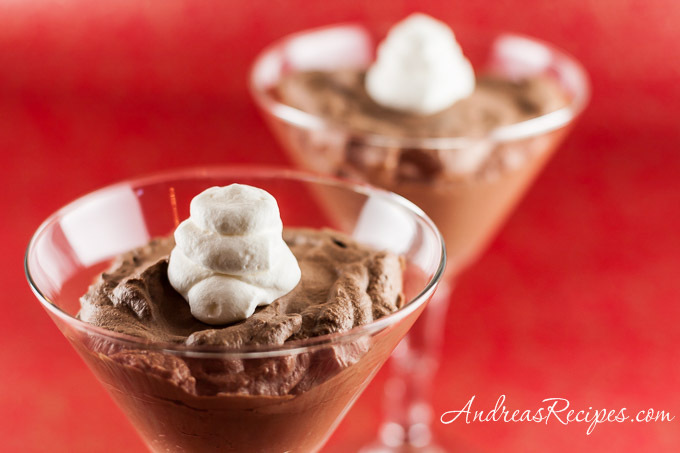 Perhaps it’s the chocolate or the combination of light airiness and rich flavor, but whatever it is I think chocolate mousse makes a perfect treat for Valentines or any other romantic occasion. 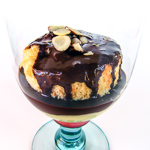 The first time I made this mousse was by special request of my friend Rose. It’s her favorite dessert and she loaned me her copy of Julia Child’s The Way to Cook so I could make this for her. It was the first Julia Child recipe I ever made and after tasting the rich, decadent chocolate I knew this would be my go to recipe for chocolate mousse. I decided I needed my own copy of this informative cookbook and it’s now one of my favorites. I have made some minor modifications to suit my taste. Child’s recipe calls for sweet or semisweet baking chocolate, but I use a mix of semisweet and bittersweet. She also said to put the mixing bowl on ice when whipping the cream, but I cheat and chill the bowl in the refrigerator instead. 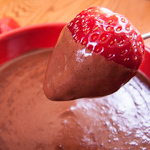 Once it’s made, the mousse needs several hours to chill, so plan ahead, but it’s well worth the wait. The recipe makes enough for up to eight servings, so I’ve included instructions to make it for two. RAW EGG WARNING: You should take care to use the freshest available eggs and make sure that they are stored properly. I want, must have…will beg. That looks so addictive! And the picture is beautiful! Hubby is allergic to coffee – can I make this and not include this ingredient? Will it still work? I love the texture of your mousse, it’s so thick and creamy. A truly decadent treat. Makes me want chocolate now! Delicious! Thanks! Robin, the liquid is important for the consistency of the chocolate, so if not using coffee you can use just water or a liqueur instead. This looks absolutely perfect,restaurant quality. What a beautiful presentation! Great photos! This is my first time to your blog, it is really lovely and I will be back! That’s brilliant to have it for two! I’ll just have to remember to save that tablespoon of coffee from the morning. When I was pregnant the first time I experienced what I called my Chocolate Week. It seemed for about 10 days I just wanted to eat chocolate. That was my first time making mousse. we had chocolate mousse for VDay too – I followed a recipe that cooked both the yolks and whites, which nearly led to two cooking disasters (curdled custard and overcooked sugar syrup). Fortunately, it worked out in the end. 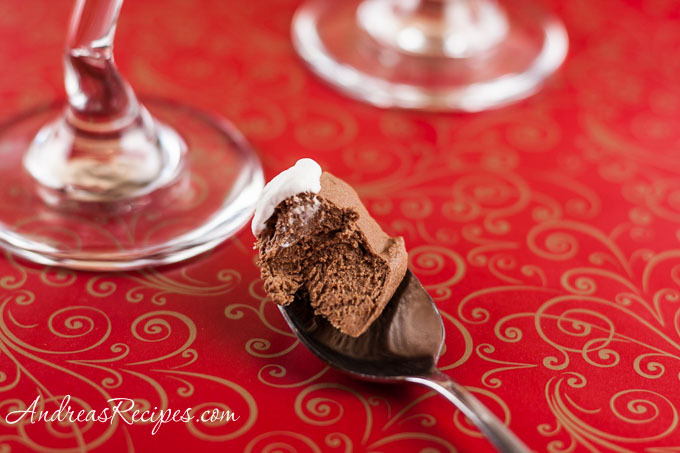 A good chocolate mousse is so enjoyable – thank you for sharing this much easier recipe! I haven’t done many mouses before so perhaps I better practise by using this recipe? This looks like a completely decadent and luscious dessert… the kind I’m supposed to be avoiding during my healthy lifestyle kick! I love to live vicariously through the food blogs. I can *almost* taste it!! This is satisfying my chocolate cravings. I love mousse, too. It’s all about the quality of the ingredients! Mmmm, that looks so good! 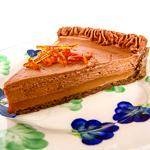 While searching for a good recipe for chocolate mousse, I landed in this post. Loved the recipe and the images look so tempting.